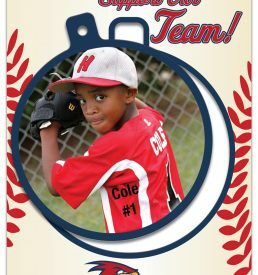 Show your pride with one of our custom PhotoPog Booster Ornaments. A great way to honor your own “STAR” with his or her photo. 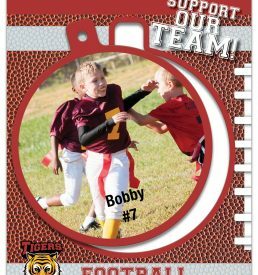 Attach it to your clothing with the included magnet or hang it from a lanyard. No more pins or snaps, a really great collectible as well.